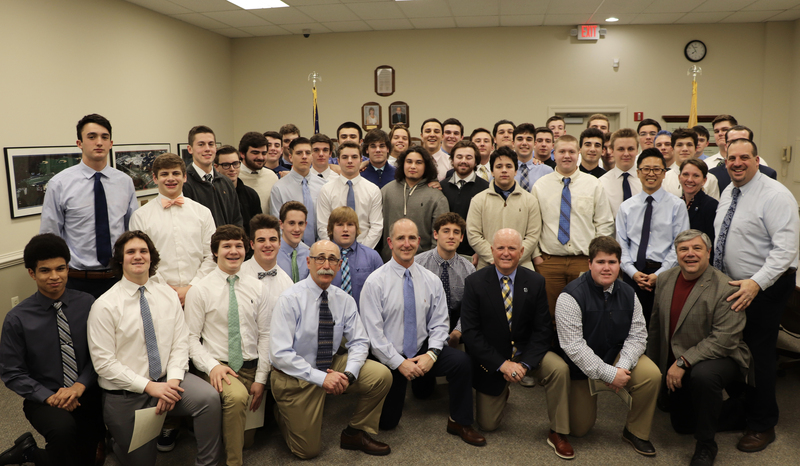 Shawnee Renegades Football Head Coach Tim Gushue and his team were recognized by the Board of Education for winning the South Jersey Group IV Championship on Friday, November 16th. The team beat Clearview High School by a score of 17-14 to win the championship. This was Shawnee's 8th sectional title in school history. 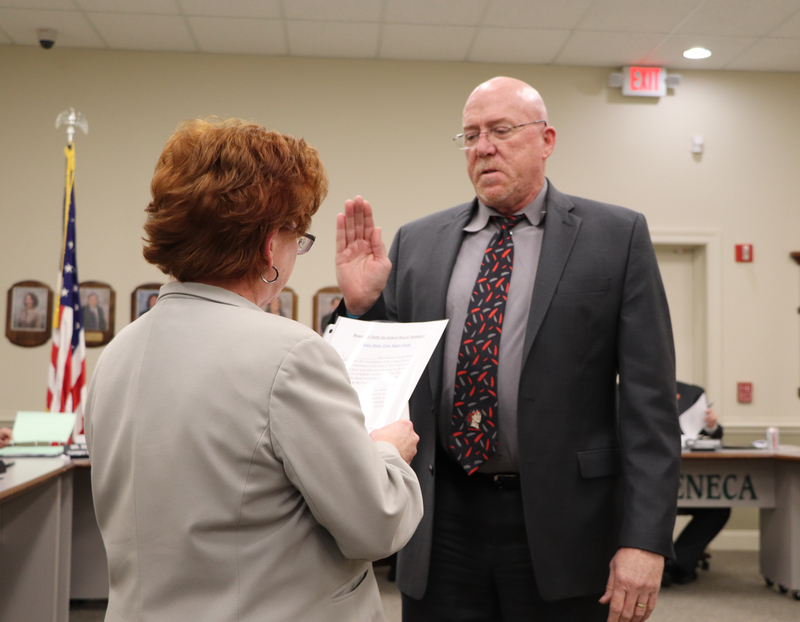 Business Administrator and Board Secretary Constance L. Stewart had the privilege of swearing in board member John Jeffers from Mount Laurel Township for a new 3-year term. The Board of Education approved the donation of Coroplast Easel Board (valued at $80) for Lenape's Strategic Planning Community Meeting from Instinct Graphics. The Board of Education approved the monetary donation of $100 for Seneca's Chamber Singers from Southampton Historical Society. The Board of Education approved the donation of refreshments (valued at $400) for Seneca's Science League from ShopRite of Medford. The Board of Education approved the donation of gift cards (valued at $200) for Cherokee's Food Pantry from Mark Iovine. The Board of Education approved the donation of gift cards (valued at $2,200) for Cherokee's Food Pantry from the Stone Family. The Board of Education approved the donation of gift cards (valued at $1,500) for Cherokee's Food Pantry from the Tierney Family. The Board of Education approved the donation of basketball T-shirts (valued at $420) for Shawnee's Athletic Department from Ivy Rehab Physical Therapy. The Board of Education approved the monetary donation of $150 for Shawnee's Music Department from Johnson's Corner Farm. The Board of Education approved the donation of speakers/music equipment (valued at $3,000) for Cherokee's Music Department from Rick Goldenberg/DJ Connection. The Board of Education approved the donation of paint (valued at $840) for Lenape's Music Department from Colleen Deery. The Board of Education approved the monetary donation of $1000 for SEN-SHS Iron Devils Robotics Team from Gregg Feldscher/MTG Services, Inc. The Board of Education approved the monetary donation of $1000 for SEN-SHS Iron Devils Robotics Team from Michael Enos/Durable Undercarriage Co. The Board of Education approved the monetary donation of $500 for SEN-SHS Iron Devils Robotics Team from Janet Mozitis/Pre-Cast Mgmt., Inc. The Board of Education approved the monetary donation of $170 for Cherokee's Art Dept. from CHS Foundation for Education. The Board of Education approved the monetary donation of $70 for Cherokee's Curriculum Expo from CHS Foundation for Education. The next Board of Education meeting is Wednesday, February 20th at 7:30 p.m. at the Lenape District Administration Building in Shamong.